ALIEN and 2001 prints by ROBERT WILSON IV! Prints are up for sale now in the ROBERT WILSON section of the Nakatomi store HERE! 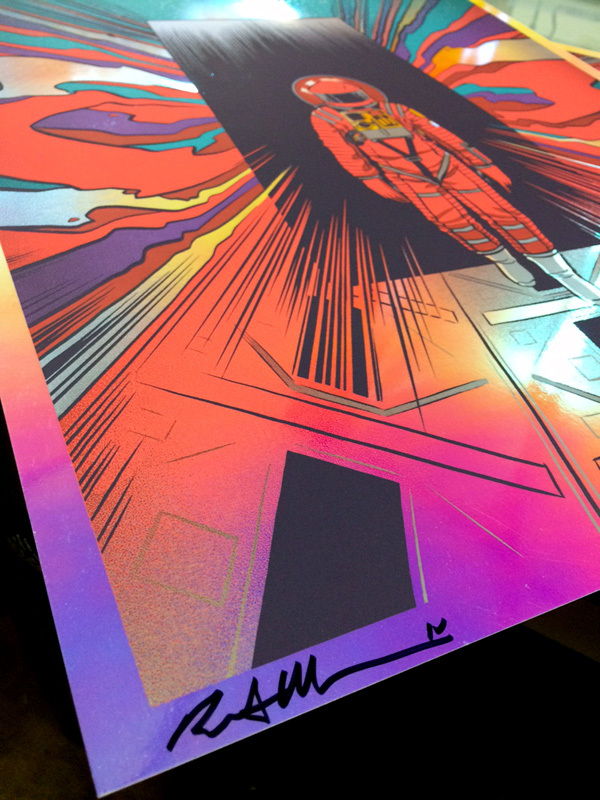 Both prints are signed and numbered by Robert in limited editions of 75! Nakatomi only has 15 of each colorway on hand! Robert Wilson is also back with a new FOIL edition of his sold-out “I’m Afraid, Dave” screenprint- this SUPER LIMITED edition of only 25 foil prints worldwide is a beauty to behold (And almost impossible to photograph!) 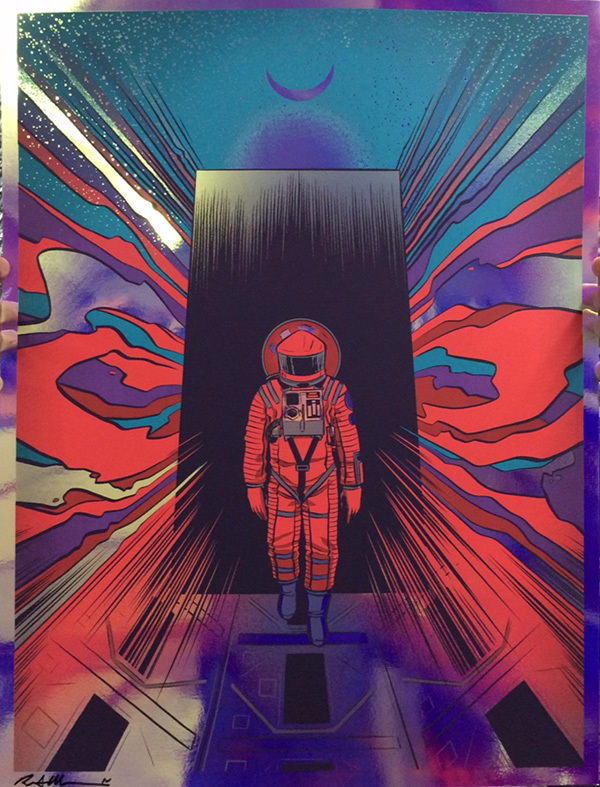 This 6-color 18×24 hand-printed poster is in hand and ready to to ship immediately! Depending on the angle, this foil stock will be a straight silver foil, or a blazing red/orange/purple! Beautiful stuff! Robert also has a new, open-edition of the same print, currently available. All prints are currently on sale in the ROBERT WILSON IV store on Nakatomi HERE. ← UnReal Estate 4- FULL SETS and ORIGINAL ART now available!